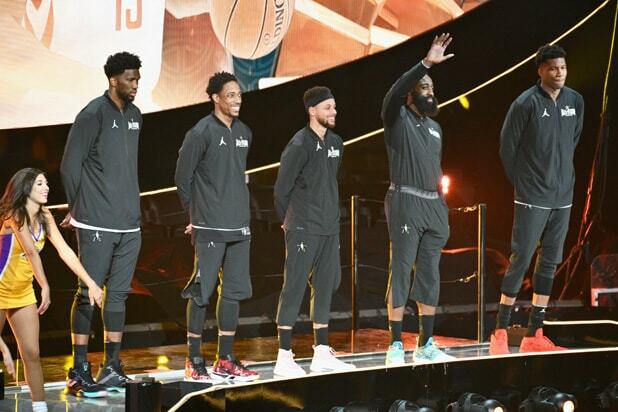 Don’t be thrown by the fact that the basketball movie “High Flying Bird” — from the Oscar-winning team of director Steven Soderbergh and screenwriter Tarell Alvin McCraney (“Moonlight”) — doesn’t really feature any basketball. That’s partly because it takes place during an NBA lockout, when play is replaced by negotiating, and the settings are sleek offices, not arenas. Is it all that surprising, then, that a movie that hinges on a radical move in a deeply entrenched entertainment institution was shot entirely (and gorgeously) on an iPhone 7 Plus and is going out on nothing-but-Netflix? Before it’s an attempted-capsizing story, though, it’s a treading-water tale. When we meet embittered, struggling New York-based agent Ray (Holland), he’s just trying to keep his talented client Erick (Melvin Gregg, “UnReal”) — a hot New York rookie cash-strapped thanks to the lockout, having come out of college ball’s draconian student-athlete rules about making money — from making misbegotten short-term financial choices that could wreck him before his professional career can even get off the ground. Ray’s focus, to the consternation of his cash-flow-centered boss (Zachary Quinto), is young, up-and-coming players, and he’s increasingly dispirited by how little prepared they are for a league that’s increasingly all business. Ray needs the lockout to end, but there’s an impasse between Players Association rep Myra (a wonderfully exasperated Sonja Sohn), frustrated by what she sees as the owners’ bad-faith tactics, and the other side’s guy, played by a suitably overconfident Kyle MacLachlan. Even a bold attempt to sign up a future teammate of Erick’s named Jamero (Justin Hurtt-Dunkley) by visiting the kid’s God-fearing, imperious momager (Jeryl Prescott), who also has a son in the NFL, falls flat. But the situation takes an unexpected turn when Erick and Jamero get into a social media dust-up over their respective backgrounds: what Erick calls “street ball” (his type) versus “organized ball” (reflecting Jamero’s financially secure upbringing). The contretemps turns into a court face-off at Spence’s annual kids’ charity event. 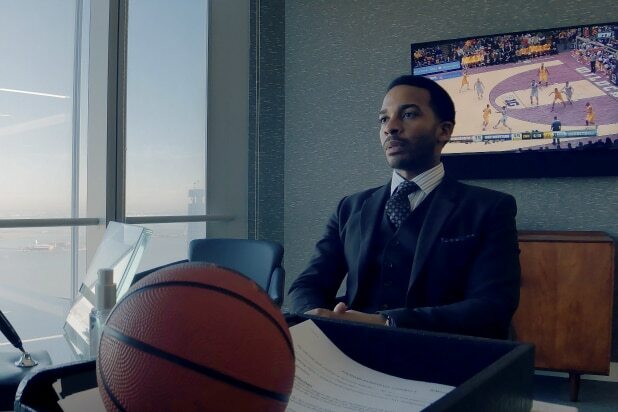 Needless to say, much of the high-minded punch in “High Flying Bird” stems from the consequences of this feud, and what it says about a game that always starts with a purity about who loves it and why, but somehow gets tarnished over issues of control, image, and money. Soderbergh (who also edits under the name Mary Ann Bernard) encapsulates this dichotomy in one great cut, from the tantalizing moment Erick and Jamero start their impromptu match-up to excited whoops and hollers from kids, to a cool-grey silhouetted shot of MacLachlan’s character boarding a private jet against a cloudy sky. In other words, from the ground-level passion of the game’s fervid adherents to the gilded bubble in which those who run it operate. Holland, so memorable on Soderbergh’s hospital series “The Knick,” brings that same coursing, crafty intelligence to Ray; that he in no way makes you think of “Jerry Maguire” is a feat in and of itself. The only character who seems wedged in rather than organically in the mix is Zazie Beetz’s — she plays Ray’s smart, meddling assistant Sam — but her energy is still a plus. Everyone else, from Duke to Sohn to Gregg’s earnestly cocky athlete, memorably paints a picture of how a draining limbo works everyone to their last nerve, but also makes clearer the possibilities. Soderbergh fills in even more details with inserted interviews he shot of NBA players Reggie Jackson, Karl Anthony Towns and Donovan Mitchell talking about what they learned as rookies. But just as fitting a “High Flying Bird” cameo is the one by sociology professor and civil rights Dr. Harry Edwards, whose most notable book, “The Revolt of the Black Athlete,” is given prominent placement in what amounts to its ideal companion piece of a film.